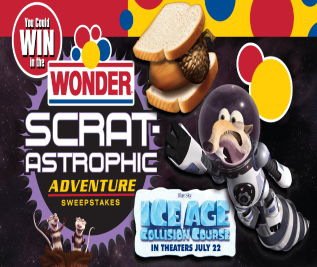 Wonder “Scrat-Astrophic Adventure” Sweepstakes – Win a trip to Los Angeles! ENTER SWEEPSTAKES HERE – Wonder Bread Sweepstakes page. ELIGIBILITY – Open to legal residents of the 50 United States and District of Columbia (“U.S.”) who are 18 years of age or older at time of entry. SWEEPSTAKES ENTRY PERIOD – Sweepstakes begins at 12:00 am Eastern Time (“ET”) on May 1, 2016, and ends at 11:59 pm ET on July 31, 2016. PRIZES – (1) Grand Prize: A trip for winner and 3 guests to Los Angeles, CA. Prize consists of round trip coach air transportation for winner and 3 guests from the major commercial airport closest to winner’s residence; use of a rental car (winner or winner’s guest(s) must be eligible and comply with rental company’s terms and conditions or this portion of the prize will be forfeited); 3 nights’ standard accommodations (one “family room” for 4 people); a “Tandem Scrat Jet Pack Experience” of 10 minutes per person (must be a minimum age of 5 years old for this portion of the prize); entry to the Griffith Observatory Planetarium; and four “Nutty Ice Cream Sundaes” to be awarded as a pre-paid gift card at an ice cream shop to be determined by Sponsor. Total combined approximate retail value of prize, which is based on 2 adults and 2 children under the age of 12, is $4,950. 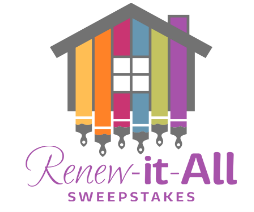 Hallmark Channel “Renew-It-All” Sweepstakes – Win $15,000 & more! Win $15,000, a trip to Los Angeles & more! ENTRY LIMIT – Limit one (1) Sweepstakes entry per day per person or email address. SWEEPSTAKES ENTRY PERIOD – Sweepstakes begins at 8:00:01 AM (ET) on May 10, 2016 and ends at 11:59:59 PM (ET) on June 21, 2016. 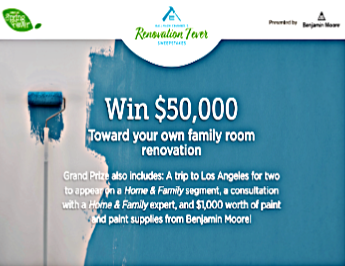 PRIZES – One (1) Grand Prize: $15,000 to renovate your home, a trip for two (2) to Los Angeles, CA, a guest appearance on Home & Family TV program, and a $5,000 Mattress Firm gift Card. Grand Prize package consists exclusively of: a check for $15,000 which winner may elect to use to renovate his/her home; a trip for two (2) to Los Angeles, which includes: round-trip (“R/T”) coach air transportation for Grand Prize winner and one (1) travel companion between major gateway airport nearest winner’s residence and Los Angeles, CA; R/T ground transportation between arrival airport and hotel and between hotel and television studio; 3-nights hotel lodging (based on double occupancy) at hotel selected by Sponsor; Grand Prize winner must make one (1) guest appearance on Home & Family TV program; six-hundred-fifty dollar ($650) meal allowance; admission for two (2) to an entertainment theme park in the Los Angeles area; one (1) $5,000 Mattress Firm gift card redeemable to purchase merchandise from its Comfort Collection only, which is limited to the following product lines: a) Beautyrest Black Hybrid Plus Wellington, b) Beautyrest Black Hybrid Plus Tolliver, c) Beautyrest Black Hybrid Plus Jennings, d) Serta Smart React mattresses, e) Serta React Hybrid mattresses, f) Tempur Cloud Supreme HD, and g) Tempur Contour Supreme HD. Approximate retail value of the Grand Prize is: $25,500. Dr. Fresh 2016 Lights, Camera, Smile! 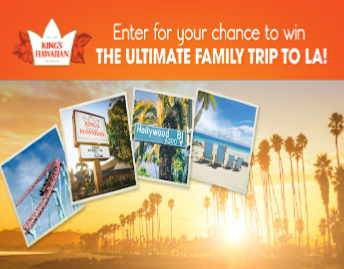 Sweepstakes – Win a trip to Los Angeles! 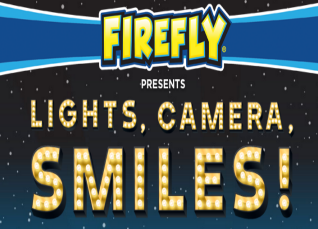 ENTER SWEEPSTAKES HERE – Firefly Facebook page. ENTRY LIMIT – One entry per person per day during the Promotion Period. ELIGIBILITY – This Promotion is only open to legal residents of the 48 contiguous United States and the District of Columbia who are at least 21 years old as of the date of entry. SWEEPSTAKES ENTRY PERIOD – Promotion begins 12:00:01 AM Eastern Standard Time (“EST”) on May 2, 2016 and ends 11:59:59 PM ET on July 31, 2016. PRIZES – PRIZE: One (1) Winner will be randomly selected weekly for (12) weeks from the pool of qualified entrants to receive one (1) package of Dr. Fresh products with an approximate retail value of $25 in U.S. Dollars. Twelve total Dr. Fresh packages to be awarded with a total value of $300. One (1) Grand Prize winner will receive a 3-day/2-night trip for a family of four (4) to Los Angeles, CA including airfare, hotel accommodation for two (2) nights (one room, quad occupancy)and four (4) movie tickets plus one (1) package of Dr. Fresh products with an approximate retail value of $25 in U.S. Dollars will be randomly selected on or about August 1, 2016. Total Approximate value of the Grand Prize is $3,000. 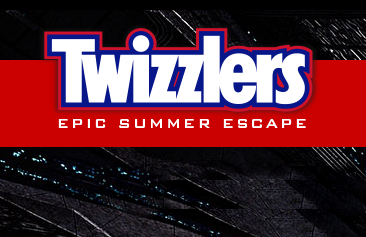 Twizzlers Epic Summer Escape Sweepstakes – Win a trip to Los Angeles or Las Vegas & more! Win a trip to Los Angeles or Las Vegas, a $4,000 debit card & more! ENTER SWEEPSTAKES HERE – Twizzlers Sweepstakes page. ENTRY LIMIT – Limit one (1) entry per person per e-mail address per day. ELIGIBILITY – Sweepstakes open only to legal residents of the United States residing in the 50 United States and the District of Columbia who are 18 years of age or older as of the date of entry. SWEEPSTAKES ENTRY PERIOD – SWEEPSTAKES BEGINS AT 12:00:00 P.M. EASTERN DAYLIGHT TIME (“EDT”) ON MAY 2, 2016 AND ENDS AT 11:59:59 P.M. EDT ON JULY 31, 2016. Wilson Observatory for winner and his/her three (3) guests; four (4) one-day tickets to a Los Angeles theme park (as determined by Sponsor, in Sponsor’s sole discretion); one (1) $4,000 pre-paid debit card; and one (1) case of TWIZZLERS product (24 count). Approximate Retail Value (“ARV”): $10,575. Prize restrictions: Winner or one (1) of winner’s guests must be at least 25 years of age. Minimum age for the observatory experience is 12. If winner’s guest(s) is under the age of 12, he/she is not eligible for this portion of the prize and no further compensation will be provided. Any minor winner or guest may be required to provide an additional liability release as required by prize provider. B. Epic Summer Escape to Las Vegas: A trip for winner and winner’s one (1) guest to Las Vegas, Nevada consisting of round-trip coach air transportation (from major airport near winner’s home within the U.S.); three (3) nights quad-occupancy hotel accommodations; one (1) Alien Fighter Pilot Experience for winner and guest; ground transfers to/from airport and hotel and to/from the Fighter Pilot Experience in Las Vegas; one (1) Alien Defense Program Patch and Dog Tag for winner and his/her guest; one (1) $4,000 pre-paid debit card; and one (1) case of TWIZZLERS product (24 count). ARV: $9,070. Prize restrictions: Winner or winner’s guest must be at least 21 years of age. Minimum age for the Fighter Pilot Experience is 14 and the maximum weight per person is 250 pounds and maximum height is 6’7”. No flying experience necessary. If winner or winner’s guest does not meet the Fighter Pilot Experience requirements, winner must forfeit this portion of the prize and no further compensation will be provided. It is recommended that winner and guest consult with their physicians before participating in the Fighter Pilot Experience. Travel must be completed within one (1) year of the prize-award date. Two hundred-five (205) First Prizes. Each First Prize consists of an “Independence Day: Resurgence” movie collectible; one (1) $50 pre-paid debit card; and one (1) 16 oz. package of TWIZZLERS product. Debit card is subject to terms and conditions as set by issuer. ARV: $103 each. Celebrate the Sweetest Mother’s Day with Lindt Chocolate Sweepstakes – Win a trip to Los Angeles & more! 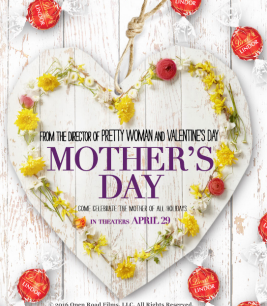 Win a trip to Los Angeles for the premiere of “Mother’s Day Movie”, $500 spending money and a year supply of Lindt chocolates! ENTER SWEEPSTAKES HERE – Lindt Sweepstakes page. 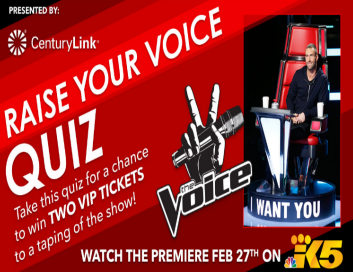 ENTRY LIMIT – Limit: Each entrant may enter the Contest one (1) time during the Contest Period. (18) years old at the time of entry. SWEEPSTAKES ENTRY PERIOD – The Contest begins on March 29, 2016 at 12:00 a.m. Eastern Time (“ET”), ends on May 8, 2016 at 11:59 p.m. ET. PRIZES – ONE (1) PHASE 1 PRIZE: A year supply of Lindt chocolates fulfilled as five hundred fifty truffles and a trip for two (2) to Los Angeles, CA for the Mother’s Day Movie, (the “Movie Premiere”). Trip package includes round trip, coach-class air transportation for two (2) from a major airport near winner’s home (determined by Sponsor in its sole discretion) to Los Angeles, CA; one (1) hotel room for two (2) persons (double occupancy) at The London Hotel West Hollywood located at 1020 N San Vicente Blvd, Los Angeles, CA 90069 for a maximum two (2) night stay which includes complimentary Wifi and breakfast for two (2) daily at The Boxwood Breakfast Table http://www.thelondonwesthollywood.com; two (2) tickets to the Movie Premiere; two (2) after-party tickets; a $400 allowance for full-size rental car for length of stay; $500 spending money; and travel agent services. Sponsor will also provide winner a single cash payment in the form of a corporate check, which is intended to assist the winner with any federal, state, or other tax obligations related to the Grand Prize (the “Tax Gross-Up Payment”). The Tax Gross-Up Payment will be $1,300. 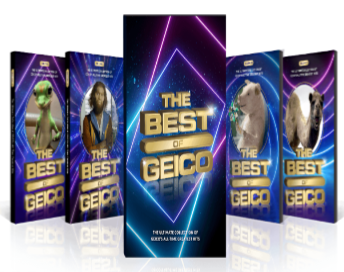 Sun-Maid “The Good Dinosaur” Sweepstakes & IWG – Win a trip to Los Angeles & more! 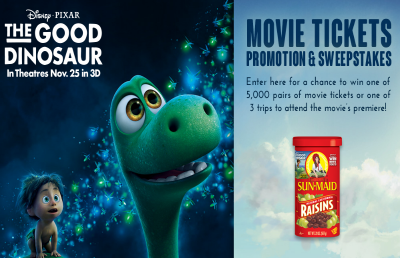 Win a trip to Pixar’s “The Good Dinosaur” premiere in Los Angeles (3 winners)! ENTER SWEEPSTAKES HERE – Sun-Maid Sweepstakes page. ENTRY LIMIT – Limit one (1) Sweepstakes Entry and one (1) Instant Win game play per person using only one (1) email address per day. SWEEPSTAKES ENTRY PERIOD – Sweepstakes begins at 12:01 AM Eastern Time (“ET”) on October 12, 2015 and ends on November 3, 2015 at 11:59 PM ET. The Instant Win begins at 12:01 AM ET on October 12, 2015 and ends on December 31, 2015 at 11:59 PM ET. PRIZES – SWEEPSTAKES GRAND PRIZES (3): A trip for winner and one (1) guest to Disney Pixar’s The Good Dinosaur (the “Film”) movie premiere screening, scheduled to take place on or about November 17, 2015 in Los Angeles, CA. Trip includes round trip air transportation for winner and guest from a U.S. gateway airport nearest winner’s residence to movie premiere location; 2nights’ hotel accommodations (one (1) room, double occupancy), and two (2) tickets to the movie premiere screening. Approximate Retail Value “ARV” of each grand prize package: $2,500.00.Actual value of prize will vary depending city of departure and date of travel. INSTANT WIN PRIZES (5,000): Each prize consists of one (1) Code valid for one (1) movie certificate redeemable for two (2) movie admissions (up to $26.00 total value) to see the Film or any other Disney movie of choice at a participating theater in the U.S. at any showing including those designated as “no coupons, no passes” in local theater listing guides.